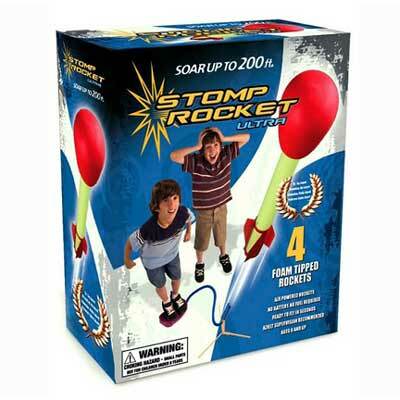 The Ultra Stomp Rocket is an easy to use flying toy for all ages, just stomp on the launcher and watch the rockets soar up to 200 feet. With lots of fun and creative ways to send the rocket flying, the Ultra Stomp Rocket is popular with all ages. The set comes with 4 rockets with the OG-1 Nosecone and a launch pad. The Ultra Stomp Rocket is recommended for ages 8 and up.